Finally, we get a glimpse of the KTM 790 Duke. And this time, it is on the Indian shores. 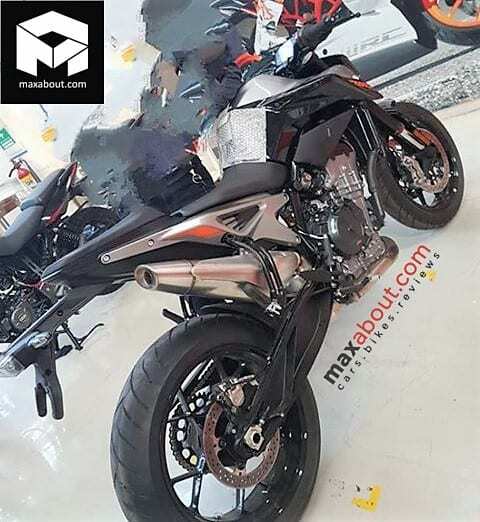 A picture has emerged online which reveals the production ready version of the KTM 790 Duke for the Indian market. However, what you see is still not 100% showroom material as it is missing out on the ugly saree guards which are mandatory. KTM 790 Duke is now very close to a market debut, and it will be sold as a CKD model. 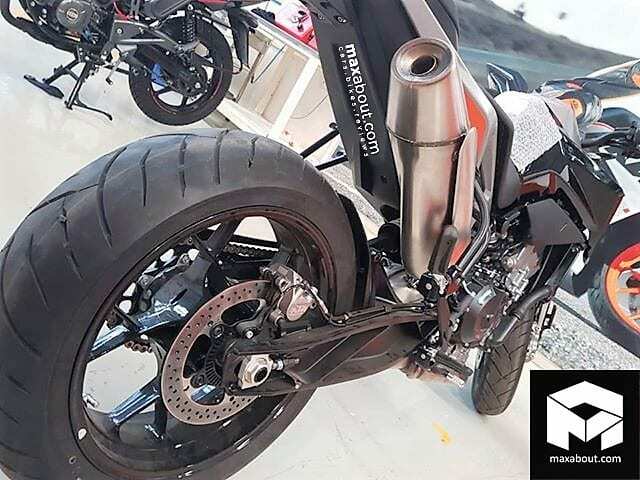 Bajaj along with KTM is planning to target a price tag of around INR 8 lakh on-road, and this bike will rival the likes of Kawasaki Z900, Ducati Monster 821, Suzuki GSXS750, Yamaha MT-09 and the likes. However, the KTM 790 Duke will come with segment-best and segment-first electronic aids which will make it a superior motorcycle than competition. Powering the KTM 790 Duke will be the new LC8 engine which is a 799cc, parallel-twin, liquid-cooled motor which produces 105 BHP of power and 86 Nm of torque. The engine will come coupled to a 6-speed gearbox with a slipper clutch and a quickshifter. Other electronic rider aids will include switchable ABS, cornering ABS, traction control which is lean sensitive, full TFT instrument console, wheelie control and riding modes. Expect just 1 or 2 body colour options to be offered, typical of other KTM models here in India. From the looks of it, the KTM 790 Duke is surely a sharp motorcycle, and we are sure that it will be super fun to ride as well. Have you started saving for one already?